Very easy to handle and use. The STIGA SWP 475 push sweeper is an in-and-outdoor tool designed to remove dust, dirt and debris like leaves, papers, cans from hard and concrete surfaces such as driveways, path, patios, parking lots and many others. 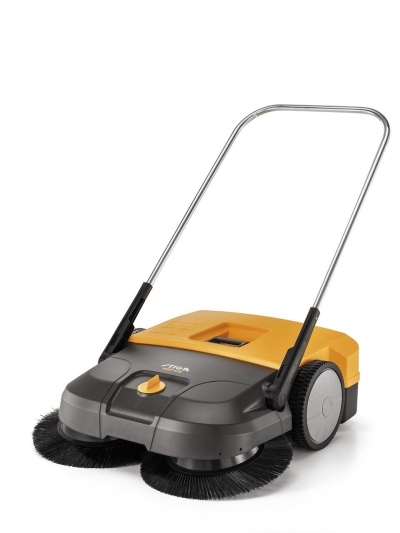 SWP 475 is designed to face a medium duty work and is equipped with two cleaning brushes with a diameter of 410 mm and with a collector capacity of 50 L. The sweeper comes with 250 mm rubber wheels for enhanced traction. This tool is optimal for cleaning medium residential and public areas.